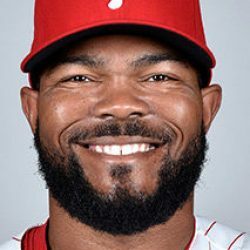 The Philadelphia Phillies have announced that Phillies veteran Howie Kendrick – out since June 30 with a left hamstring strain – is scheduled to begin a rehab assignment for the Fightin Phils on Thursday, July 20. Kendrick was hitting .349 with eight doubles, one triple, two home runs and 14 RBI with eight stolen bases before being placed on the disabled list. Kendrick was traded to Philadelphia on November 11, 2016 from the Los Angeles Dodgers in exchange for outfielder Darin Ruf and utility player Darnell Sweeney. Kendrick is in his 12th professional season and a 2011 All-Star. He was drafted by the Los Angeles Angels of Anaheim in the 10th round of the 2002 MLB Draft. He played nine seasons for the Angels and two years with the Los Angeles Dodgers before playing for the Phillies. He has played in over 1300 games and is hitting .291 in his career with 97 home runs and 609 RBI.